-La Gare de Busto Arsizio est à environ 5 km et il y a un parking gratuit à proximité de laisser votre voiture. 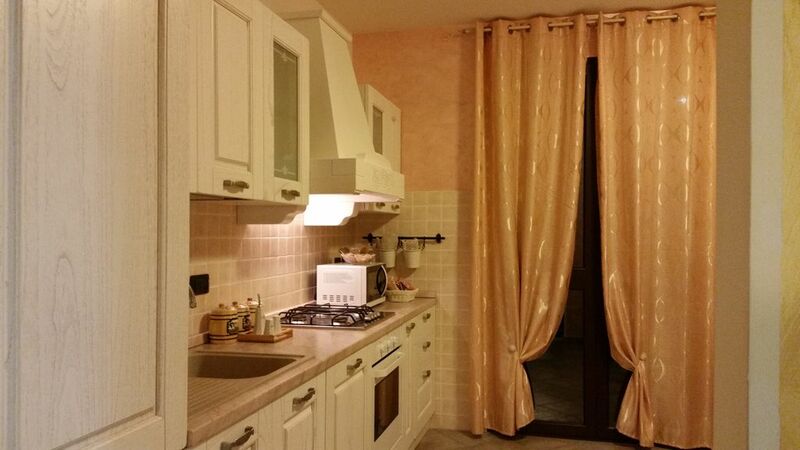 We were looking for an apartment which was ideally positioned for exploring lake Como and Milan . We also looked for good facilities and value for money. All are needs were met beyond our expectations. Good sized rooms, excellent shower, excellent kitchen facilities, secure parking and outside space to relax. Positioned in a quiet suburb with shops close by with 24 hour services. Perfect!! Our hosts were extremely enthusiastic with regard to ensuring we got the most out of our stay and provided details of places to visit. The apartment reflects their enthusiasm we found everything to hand and every room exceptional clean. Thank you for a great weekend and exceptional value. We also bought a chopping board board to prepare food . If you want to return to Italy you will always be welcome .